The next couple years will be a pivotal time as securities tokenization is tested and institutional participation grows. 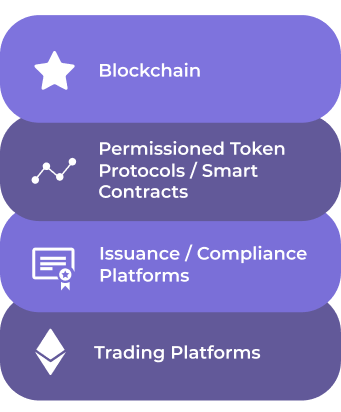 The tokenized securities function like other paper or digital securities, backed by the same legal and contract systems that give the securities value. They benefit from blockchain by becoming easier to trade worldwide without friction. Blockchain technology improves the ability of parties to automate transactions, enhancing efficiency by reducing counterparty risks or reliance on centralized systems. 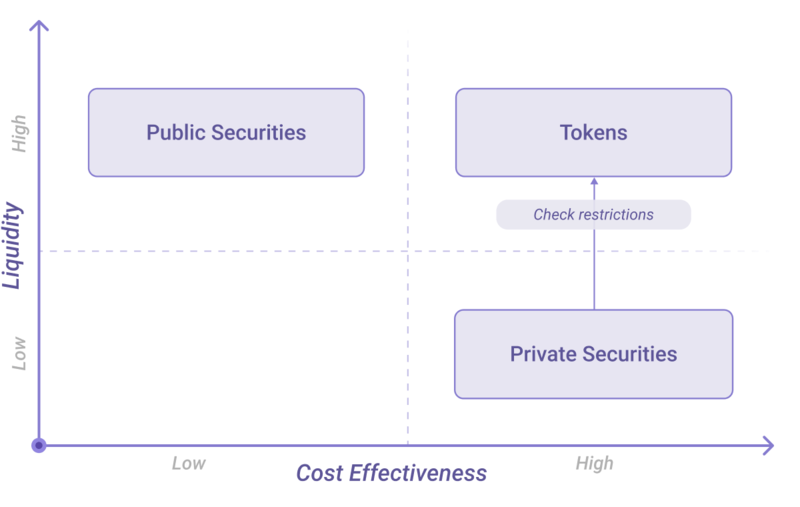 In this article, we combine the knowledge on the tokenized securities space, and analyze its current state, infrastructure and trends. The information is for discussion only and doesn’t contain any legal or investment advice. The next couple of years will be a testing time for tokenized securities – once investors taste a liquid secondary market, it will be hard to pull them away. A decentralized ledger for securities will not only change the existing industry, but it may also increase the market of overall traded financial instruments. 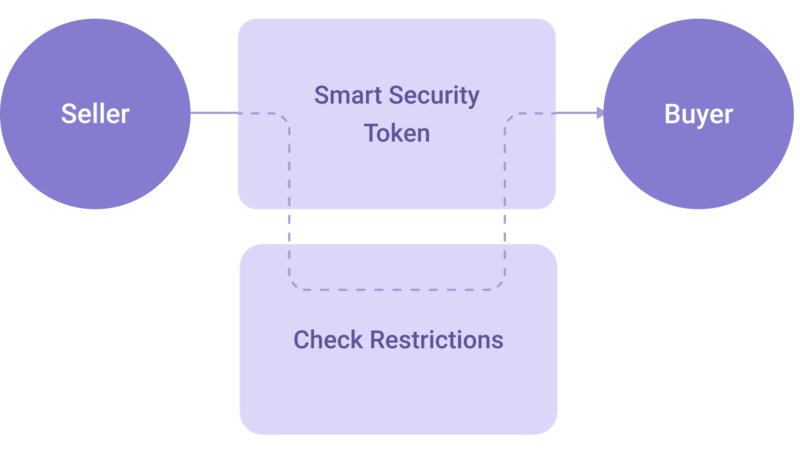 Tokenization benefits private/restricted securities the most, as it makes them more liquid and streamlines the trading by implementing necessary restrictions via smart contracts. Public securities also benefit from migrating to the blockchain. The early wave of tokenized securities is the wrappers on existing securities (e.g., equity). In the future, new forms of securities could evolve. Adoption will depend on the infrastructure, which will evolve step by step. A distributed ledger technology that defines technical parameters for smart contracts, defines the programming language, and stores basic transaction history. ‍Examples: Bitcoin, Ethereum, Stellar, Hyperledger. Currently, most solutions are being built on Ethereum blockchain, due to its functionality and infrastructure. There’s no guarantee that Ethereum will be a blockchain for tokenized securities in the future. Systems that are currently in development should be blockchain-agnostic and ready to move to another blockchain. Blockchain-powered programs that include the rules for transfers by checking if transactions meet pre-built conditions and restrictions (e.g., required by regulations or issuers). ‍Examples: Harbor R-token, Securitize DS Protocol, Polymath ST-20, Nomica Smart Securities Protocol. The protocol places restrictions on transfers to enforce regulations and integrate with exchanges. Some of the protocols are Harbor R-token, Securitize DS Protocol, Polymath ST-20, Nomica Smart Securities Protocol. A compliance technology that serves its users at the time of issuance and secondary trading. Provides tools for the issuance and settlement, integrations with exchanges and KYC providers. ‍Examples: Harbor, Securitize, Polymath, Nomica. Not only to issue tokenized securities, but also to enforce compliance and streamline the secondary trading of assets. Issuers (e.g., private companies or REITs) could interact with the platforms directly or via providers, such as investment banks and advisory firms that help issuers with organizing offerings and fundraising. There are more than 3,700 registered broker-dealers only in the US to choose from. The concern for professional players, such as advisory firms or investment banks, is that the issuance platforms will use clients’ investor data to grow their own database. Therefore, they will either try to build their own solutions or use a flexible white-label option that doesn’t touch their investor database. As advisory firms usually don’t scale and don’t have tech expertise, most will likely prefer to use a white-label solution. Regulated and licensed marketplaces that connect buyers and sellers of the tokenized assets and facilitate the trading. Examples: OpenFinance, SharesPost, Coinbase, tZERO. These exchanges are the first to launch security token trading. They are not at a full scale yet. OpenFinance – Chicago-based with ATS license, launched in December 2018. SharesPost – San Francisco-based with ATS license, launched in January 2019.
tZERO – NY-based subsidiary of publicly traded Overstock.com, launched in January 2019. Coinbase (blog announcement) and others are expected to launch the trading of tokenized securities in 2019. More exchanges are in the process of getting necessary licenses and building their tech. Regulators, such as Singapore’s MAS, are rolling out new regulations to grant more exchange licenses. 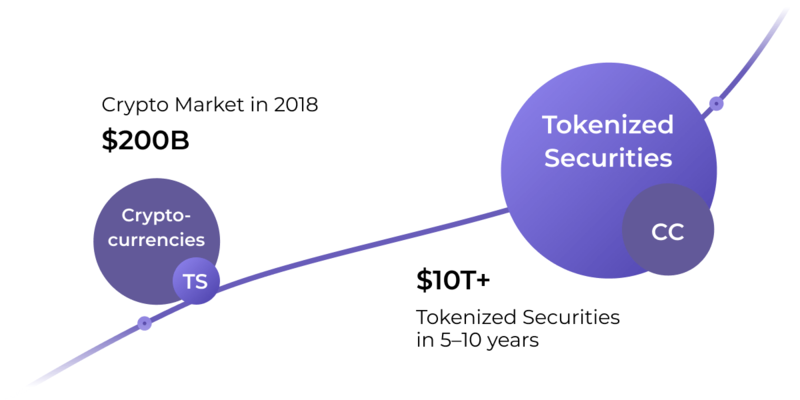 An offering of tokenized securities is often called Security Token Offering (STO). Sometimes, synonyms, such as Smart Security Offering (SSO), Digital Security Offering (DSO), Tokenized Asset Offering (TAO), Equity Token Offering (ETO), are used instead. STO is a novel fundraising mechanism that is subject to federal regulations and includes KYC/AML procedures, classifying investors based on their country of residence or accredited investor status, and other rules based on jurisdictions. tZERO – the most successful STO to date that raised $134M from over a thousand investors. Lottery.com – one of the first STOs that raised over $40M. St. Regis Aspen Resorts – $18M real-estate offering of the tokenized equity (18.9%) of the REIT. Blockchain Capital – blockchain-focused VC fund with tokens representing a liquid LP interest. The first tokenized securities traded on OpenFinance and SharesPost exchanges. JOBS Act introduced new ways for accredited and non-accredited investors to participate in offerings under Regulations D / A+ / CF in the USA. Regulation S means that securities sold to foreign investors do not need to be registered. Blockchain Amendments to Delaware’s General Corporation Law authorize the use of distributed ledger technology for the issuance and transfer of shares. Singapore is known as one of the most friendly jurisdictions for blockchain innovation. The updated guide by Monetary Authority of Singapore outlines the rules for the issuance of tokenized financial instruments. In addition, Singapore is rolling out new regulations that will grant more securities trading licenses classified in three tiers. European countries are also moving forward with new regulations that will support the issuance and trading of the tokenized securities. Launching tokenized securities nowadays is very challenging. Trading platforms need to increase the transaction volumes of the tokenized securities. Lack of investors' knowledge and regulators clarity slows down the adoption. The infrastructure for tokenized securities is still in the early days. The infrastructure is still currently in its infancy, however, it is evolving quickly with new projects and emerging marketplaces promising more efficiency, compliance and liquidity to the space. As infrastructure and liquidity develop, the popularity of the tokenized securities and their offerings will grow. Unlocking trillions in capital and making millions of assets more liquid will transform the foundations of the market. We believe that this innovation will bring new instruments and mechanics that will positively impact the global economy. Tokenize a company, a fund, or other assets. Improve liquidity and value. Reach global investors.